For all your customers heading abroad on their holidays or for those soaking up the rare UK sunshine during the summer months we stock a selection of wholesale sun care products. Catering for all the family we stock wholesale Sun Care products varying in SPFs. For all your customers heading abroad on their holidays or for those soaking up the sunshine here in the UK, or what we get of it anyway, we stock a selection of wholesale sun care products. As a leading supplier of wholesale sun care products we cater for all the family. Available in a range of SPFs there’s an Aloha Sun Lotion suitable for all skin types. Specially formulated, Aloha Sun Lotion provides protection from harmful UVB rays and is water resistant. Perfect for kids Banana Boat Kids SPF 50 Sun Lotion has been specially formulated with a non-greasy formula for ultimate protection. And because it’s water-resistant it’s perfect for kids who love playing in the pool on holiday! Wholesale Banana Boat Kids SPF 50 Sun Lotion contains Aloe Vera and Vitamin E which helps keep soft and conditioned. 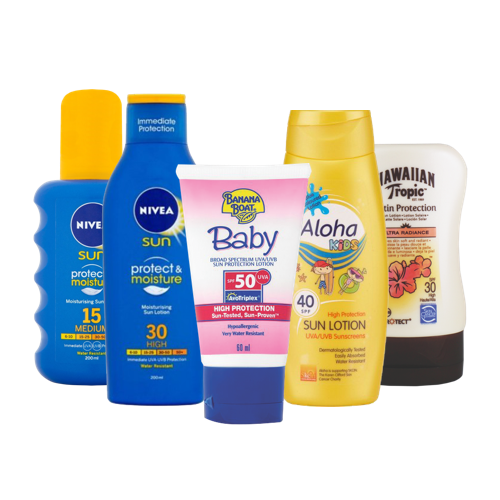 Wholesale Banana Boat Baby SPF 50 Sun Lotion is perfect for new born babies and has been specially formulated to protect the most vulnerable of skins. Water and sweat resistant this wholesale sun care product will provide parents with the comforting reassurance that their little ones are completely protected. As a one-stop shop for all your wholesale sun care products we stock two types of aftersun that help to soother, refresh and hydrate skin after being exposed to sun for long periods of time. Both Aloha Refreshing Aloe Vera Aftersun Gel and Aloha Hydrating Aftersun Lotion are dermatologically tested and help prolong a tan and prevent peeling. 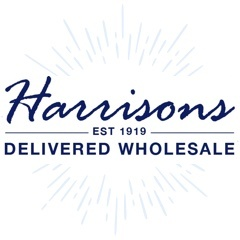 Purchase your wholesale sun care products from Harrisons Direct today and experience our exceptional customer care, benefit from our reliable delivery service and make the most of our all-new rewards scheme! If you’d like more information on our range of wholesale sun care products feel free call us on 01254 306840.